OSO Hotwater have announced the first A rated cylinder range available in the UK market under Euro energy labelling system familiar to consumers. Hot water cylinder labelling commences in September this year as a result of the European Energy Related Products Directive (ErP). OSO Delta uses Vacuum Insulation Panels alongside foam insulation in a significant innovation for the industry to achieve a unique A rating for all single coil cylinders up to 300 litres. Delta is the culmination of years of R & D to produce the most energy efficient cylinder possible. Achieving an A rating on a full range of cylinders is a major achievement for OSO and has only been possible with revolutionary new insulation techniques. ErP is a game-changer for the cylinder industry. For the first time, the cylinder efficiency, as calculated by standing heat loss, will be obviously visible to the installer and, equally importantly, to the end user. Other industries have shown that discerning customers will be looking for superior energy ratings and will be prepared to pay for them, offering opportunities for profit to installers of the best products such as the OSO Delta. An A rated Delta in the most popular 210 litre capacity will save around 1kWh of energy every day in comparison to a more standard C rated product. These energy savings will quickly pay back any extra investment in a superior cylinder. Delta is a very space efficient cylinder and will be available in capacities up to 300 litres in sizes that will all fit in a standard UK airing cupboard. In keeping with other OSO cylinders, Delta has an advanced design that conceals electrical cables within conduits in the side insulation. Delta is supplied factory fitted with a user friendly digital thermostat that shows the current water temperature and contains holiday and anti-legionalla modes. 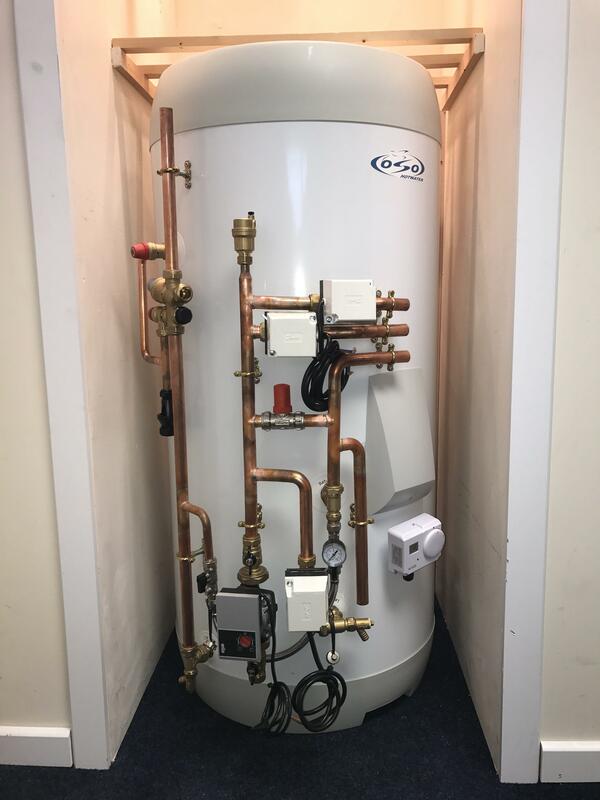 Delta will be available in separate ranges of indirect units suitable for boiler, heat pump and solar thermal and will be launched in the autumn from a wide range of plumbers’ merchants. Visit www.osohotwater.co.uk to find out more.